Turbocharge Your Personal Organization and Business Productivity. 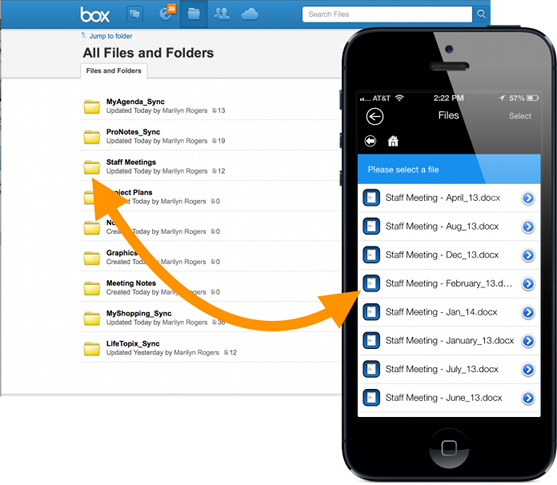 Easily access and manage your online files in Box while mobile. Keep your LightArrow app data on all your iOS devices in sync by using your Box account. Ensure your LightArrow app data is safe by using Box for backup and restore of your important data. Easily organize and retrieve files stored in Box that you associate with projects, products, events, trips, visits, notes, services, and more! Find information about LightArrow Apps at the Box website by following the links below.